Maybe you are already an avid fan of the Latin-dance based cardio workout known as Zumba. Or maybe you actively avoid the class due to a fear of public dancing. Whether you love to Zumba or you have never tried a Zumba class before, the new Strong by Zumba class might just be for you! Read on to understand more about this new class and find out if it might be the class for you! It Is Not A Dance Class. 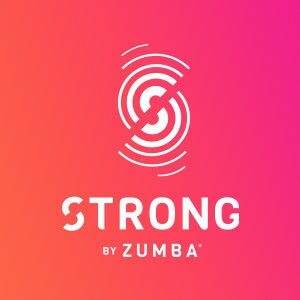 Strong by Zumba is a high intensity workout set to music. Expect traditional strength moves, such as planks, burpees and lunges. “We have spent years bringing outsiders into the fitness world by making exercise enjoyable through music,” says Zumba CEO Alberto Perlman. “We want to use our expertise to introduce a completely new concept of interval training that uses synced music motivation.” Each movement is done in sync with the beat, which adds a fun factor and keeps things moving. Mix Up Your Routine. If your regular routine is full of Zumba, which is a great cardio workout, Strong is a great way to add in strength training without going too far out of your comfort zone. If you are just looking for a good strength and high intensity interval training workout, Strong is a fun and welcoming introduction to this type of workout. And after a couple Strong classes, the original Zumba classes may not seem so intimidating! Enjoy Exercise. Zumba is a hit class partially because of the warm, non-judgmental environment fostered in class. If you are new to exercise, Strong is a great way to start bodyweight training. Even group class professionals will love the supportive, positive attitude that Zumba instructors and trainers are known for. KareBoost Health is now offering Strong by Zumba. Whether you are an avid Zumba fan or new to exercise, come in and try this fun, upbeat bodyweight workout! CLASSES START WEDNESDAY AUGUST 23, 2017 AT 10AM OR 7:15PM AT KAREBOOST HEALTH!!! CHECK IT OUT! !